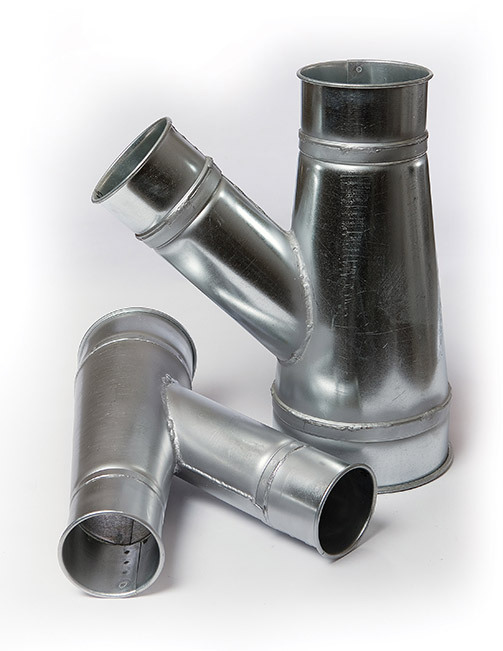 Our galvanized steel branches let you direct air from the main supply to another area. These branches have rolled ends, are welded to the taper, and caulked. Order 30°, 45° or 90°.